With more than 16 years industry experience, of which the last 16 years have been within the Logan area, Katrina has gained a wealth of experience in the local real estate market. 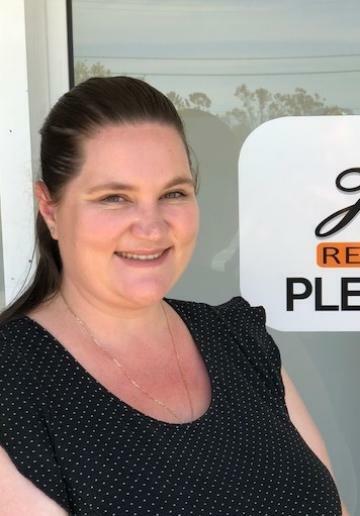 Katrina’s specialized scope is wide spread and varied, starting as a receptionist for a local based agency where she soon moved to Assistant Property Management and then Office management looking after the whole Property Management Division. She has developed a high level of professionalism in her dealings with clients and offers honest, reliable advice and is known for her personal approach in her work. With an in-depth knowledge of all facets of property management, Katrina understands what it takes to get the best possible outcome for both tenants and landlords. Focused on providing premium service in every instance, she consistently keeps her clients up to date through every step of the process. Katrina respects the importance of managing her landlords’ valuable assets and maintaining occupancy rates with solid investment returns.